Beauty And The Beast: A Fool In Foolish Love | Nerd Much? In a recent clip of the upcoming film Beauty and the Beast, the character of LeFou is singing the famous “Gaston” song. Not only does he wink at Gaston when he says “team,” but all of LeFou’s posturing is quite feminine. Not that feminine postulating makes you gay, but Disney clearly thinks so. Many critics have called this progress, but I cannot. LeFou being gay is not a good way to present “normal as normal”, to quote Overwatch developer Jeff Kaplan. It might be milestone for Disney, as the studio has never intentionally committed to one controversy or another, but LeFou is nothing more than a gay token and a fool in foolish love. In 1991, LeFou was defined simply as a token sidekick. In 2017, he’s the token gay sidekick. Furthermore, he is quite literally “the fool” (a translation of his name from French). LeFou is a character that functions as nothing more than the comic relief, something to laugh at amidst the gloom of Belle’s father almost dying and the terrifying Beast. Making LeFou gay is like throwing in a few drag queen jokes, just to laugh at the man who wants to wear traditionally women’s clothing; like the plumber who wears a bright red thong, or the gay guy that knows fashion better than any woman. However, if we were to treat LeFou seriously and not as a joke or comic relief, then we must consider what his only defining trait (being gay) says about his character. 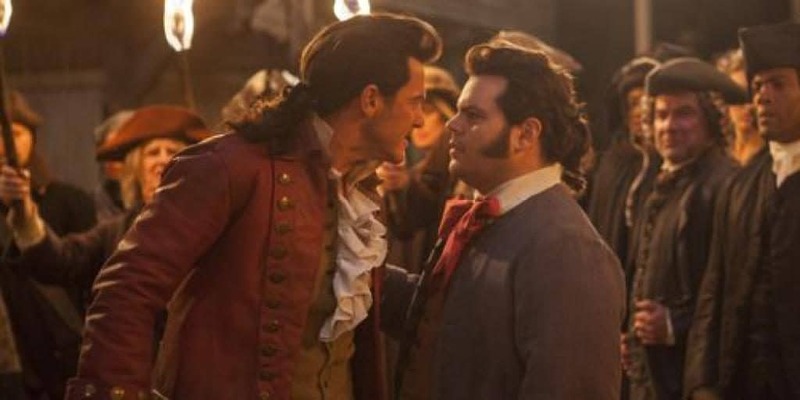 Because of his name and role in the film, LeFou’s love or affection for Gaston is foolish, hopeless. Thus implying that that being gay is foolish. Unfortunately, this applies to far too easily to young LGBTQ fellows out there. Anyone who has grown up somewhere on the spectrum of non-heterosexual know how easy it is to fall into that “foolish” line of thought in regards to their emotions. To those who do not, allow me to share my experiences. Personally, the gaslighting years of “this is just a phase” and “it doesn’t really mean anything” were very painful. Though these doubts cannot be assigned directly to media in my personal experience, it certainly reinforces them. Gay people were either sexual objects (The L Word) or comic relief (Wedding Crashers) while I was growing up. It was not as easy as a Netflix recommendation algorithm to enter the indie scene of LGBTQ movies in the 90s as it is today. Those who call LeFou’s new trait progress: how are the young LGBTQ people supposed to understand LeFou if not as a fool in foolish love? Someone whose emotions are meaningless because they are never requited and treated as nothing more than a punchline to an amusing song. It is not progress if the character is a token, especially one named “The Fool”.